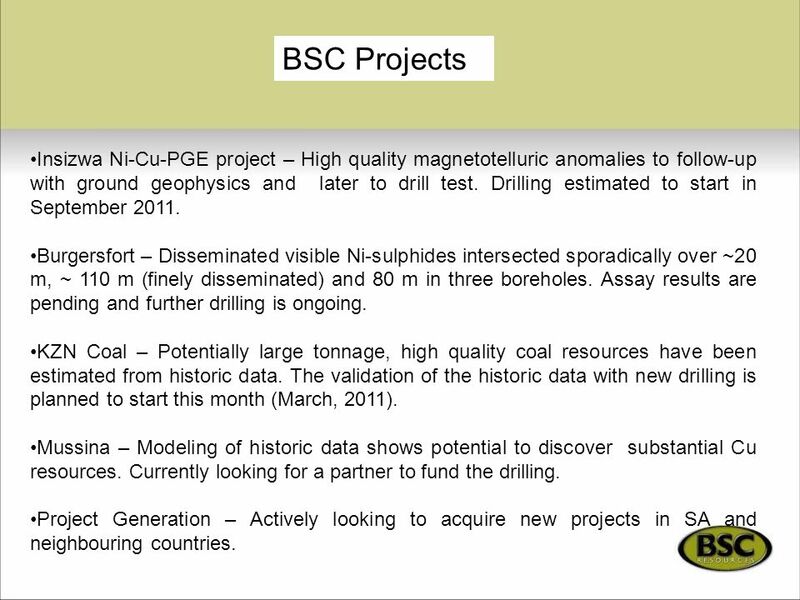 BSC Resources on the Brink of Discovery? 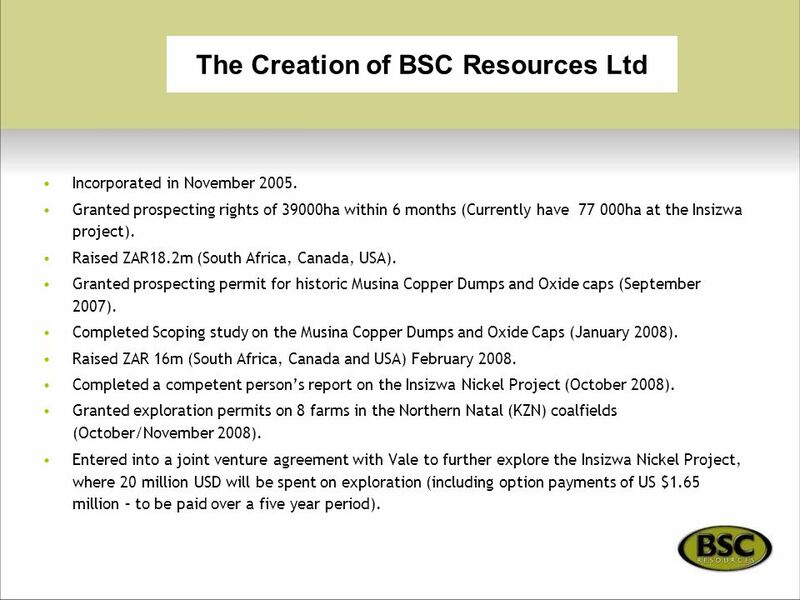 1 BSC Resources on the Brink of Discovery? 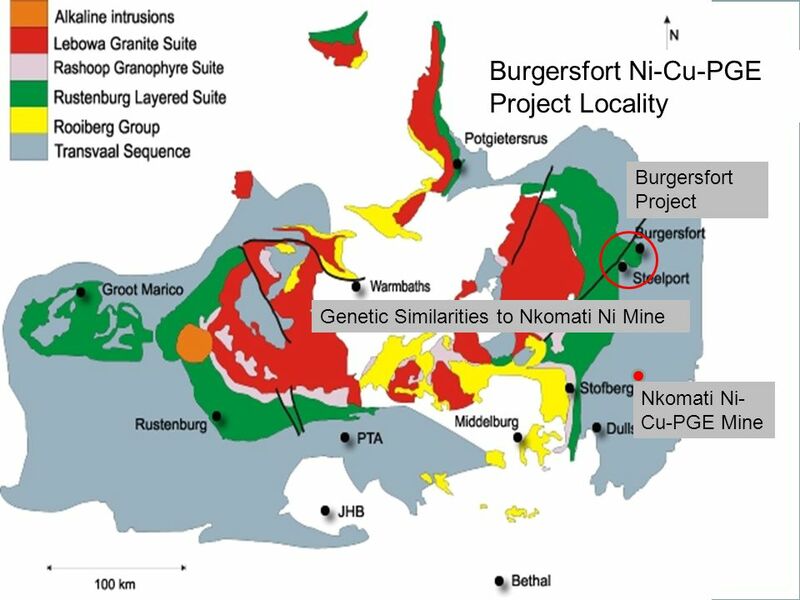 2 BSC On the Brink of Discovery? 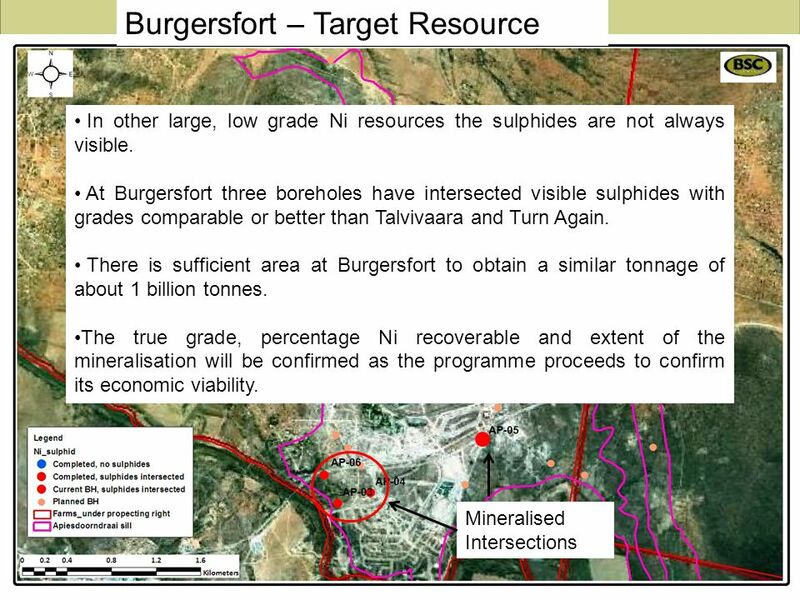 3 BSC On the Brink of Discovery? 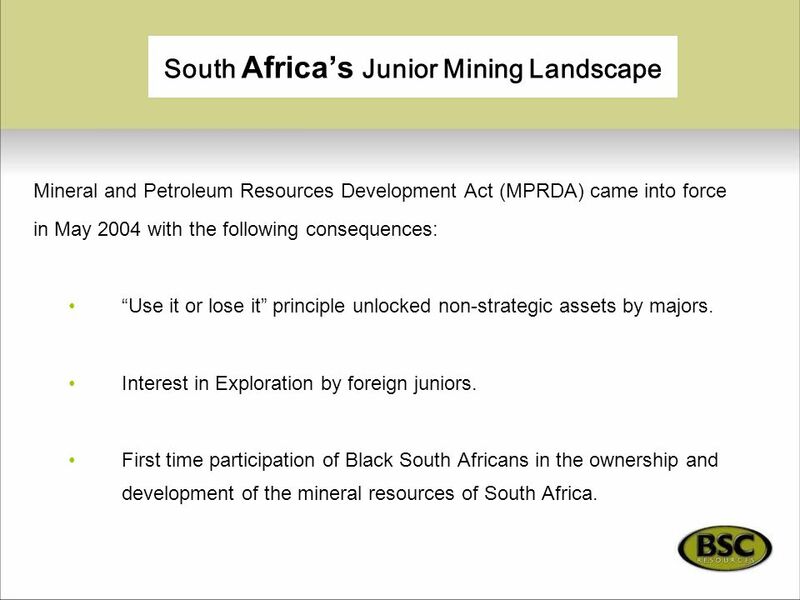 Mineral and Petroleum Resources Development Act (MPRDA) came into force in May 2004 with the following consequences: “Use it or lose it” principle unlocked non-strategic assets by majors. Interest in Exploration by foreign juniors. 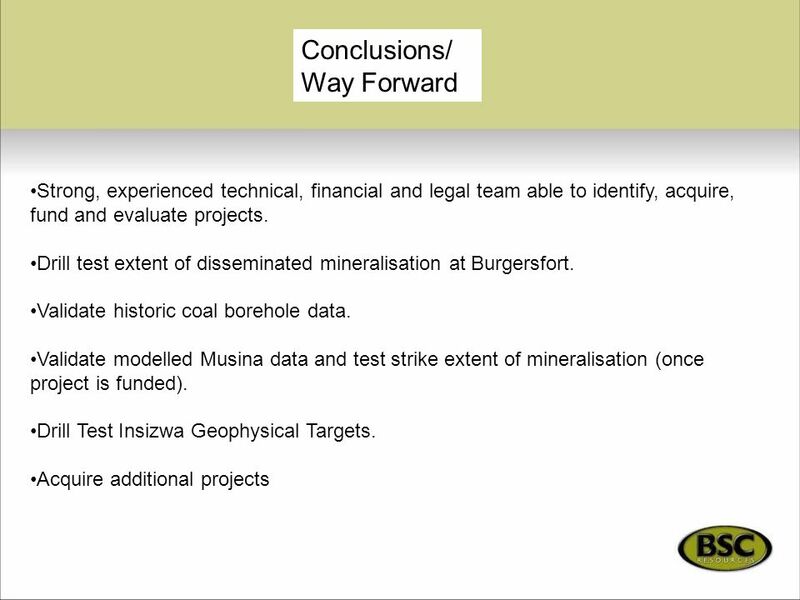 First time participation of Black South Africans in the ownership and development of the mineral resources of South Africa. Incorporated in November 2005. 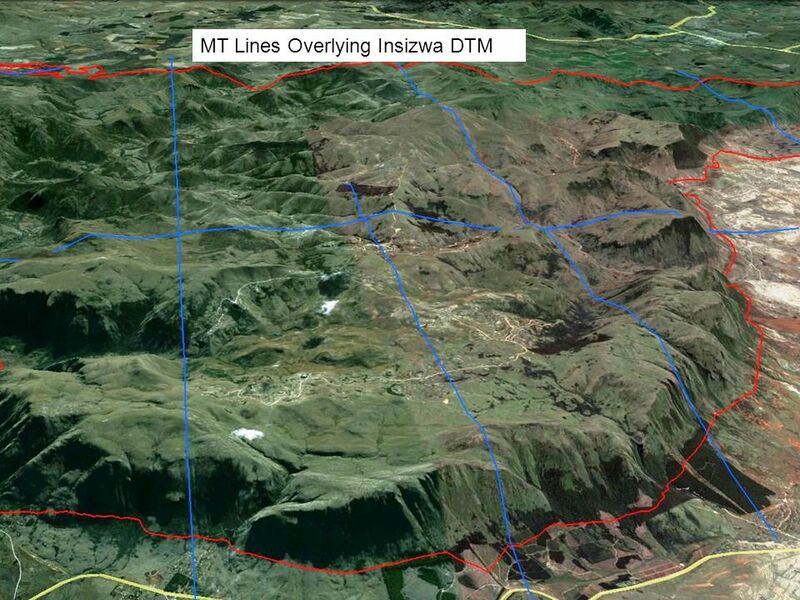 Granted prospecting rights of 39000ha within 6 months (Currently have ha at the Insizwa project). Raised ZAR18.2m (South Africa, Canada, USA). 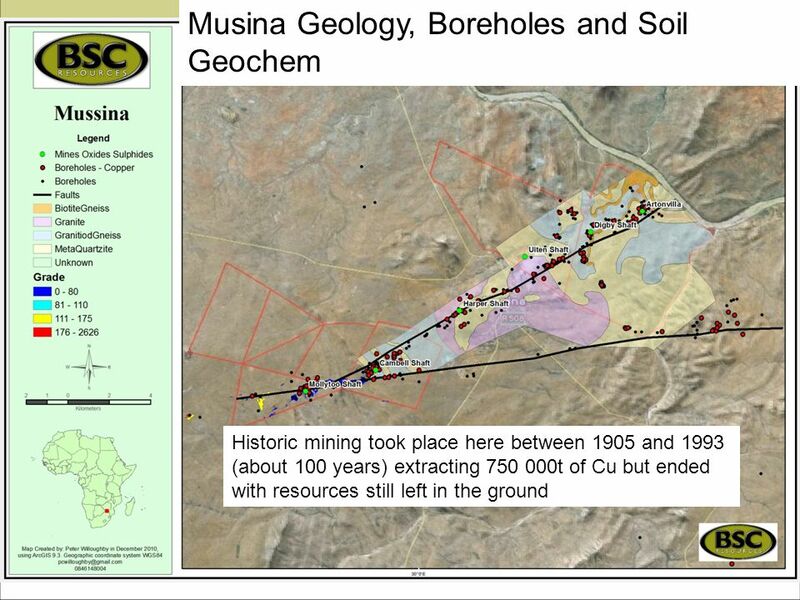 Granted prospecting permit for historic Musina Copper Dumps and Oxide caps (September 2007). 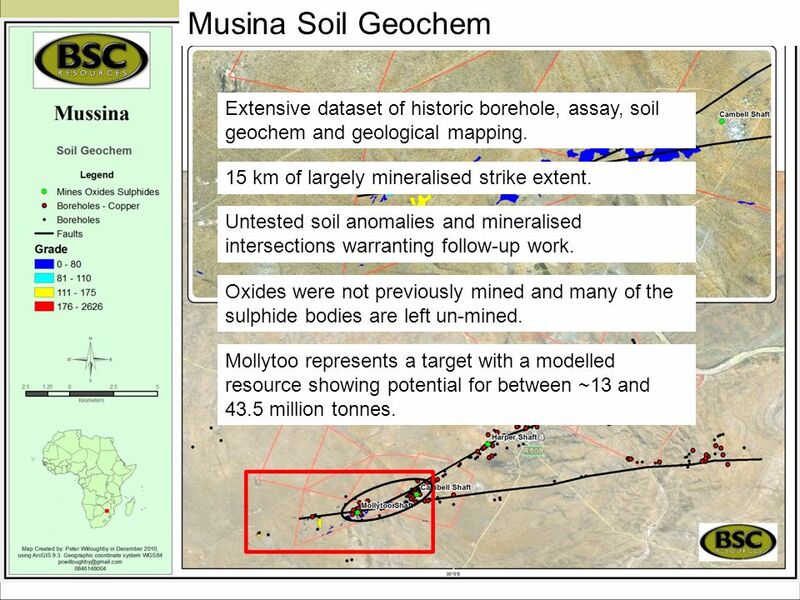 Completed Scoping study on the Musina Copper Dumps and Oxide Caps (January 2008). Raised ZAR 16m (South Africa, Canada and USA) February 2008. 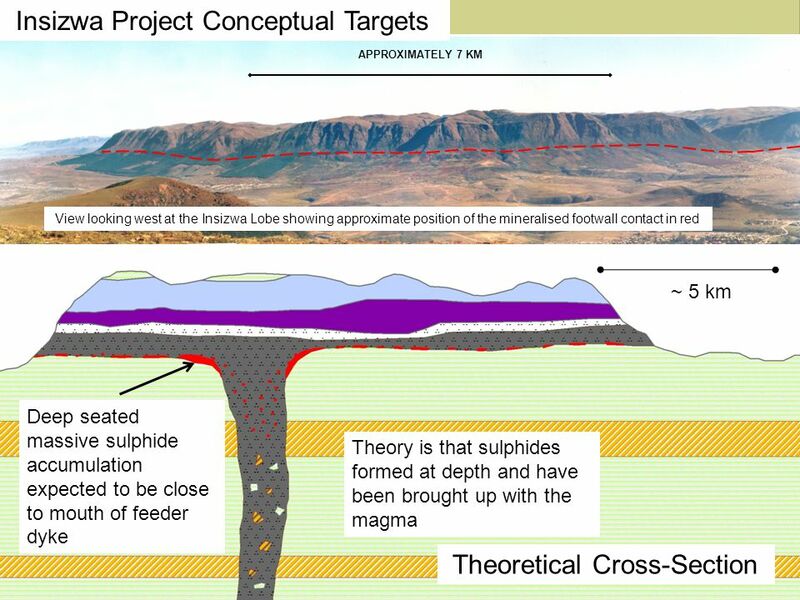 Completed a competent person’s report on the Insizwa Nickel Project (October 2008). 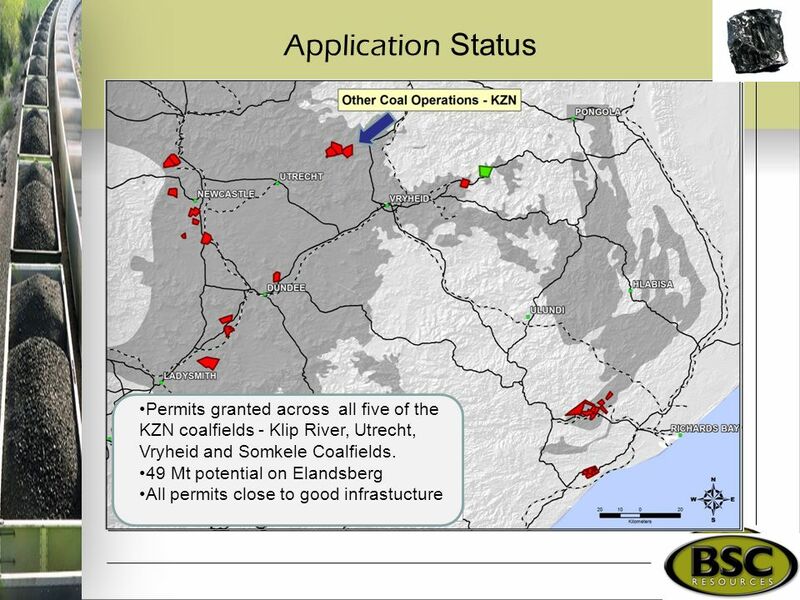 Granted exploration permits on 8 farms in the Northern Natal (KZN) coalfields (October/November 2008). 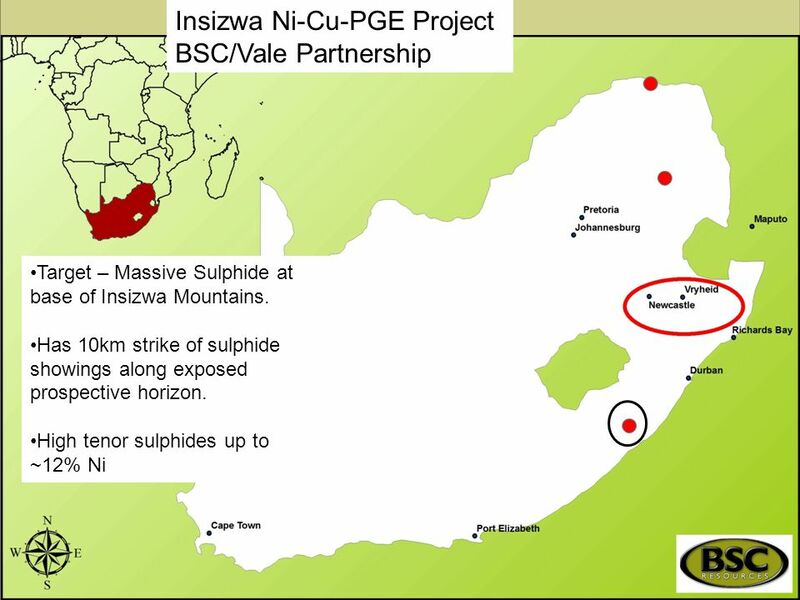 Entered into a joint venture agreement with Vale to further explore the Insizwa Nickel Project, where 20 million USD will be spent on exploration (including option payments of US $1.65 million – to be paid over a five year period). 6 Strategic Overview Hands on Management Team. 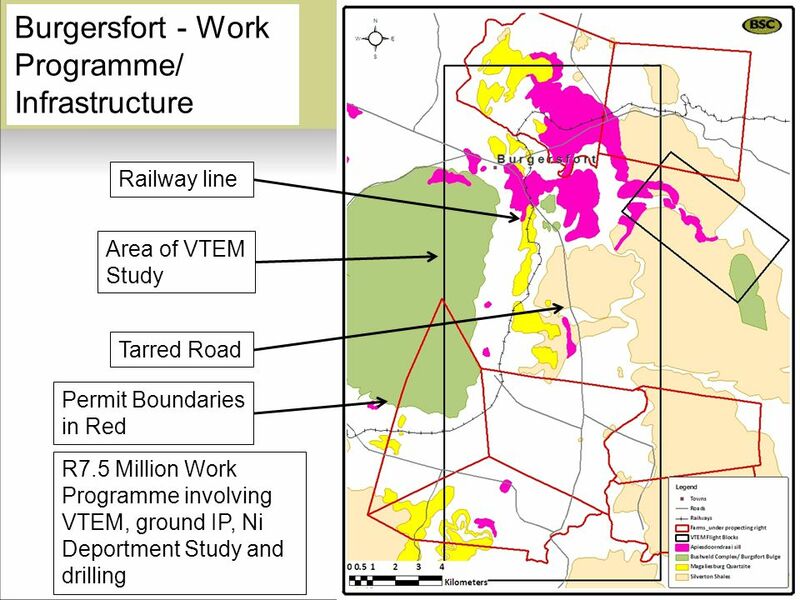 Focusing on acquiring and developing brownfields projects. 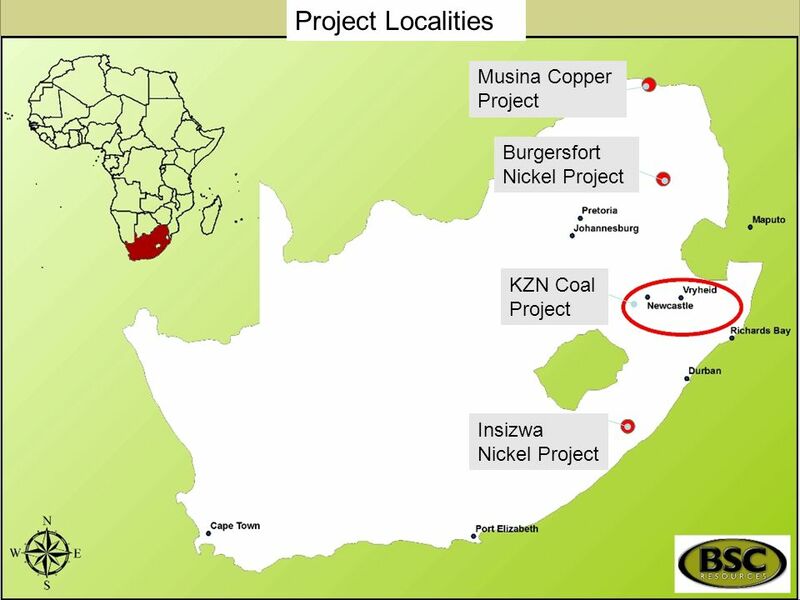 Currently building a substantial coal portfolio in the Natal region, close to the Richards Bay port. 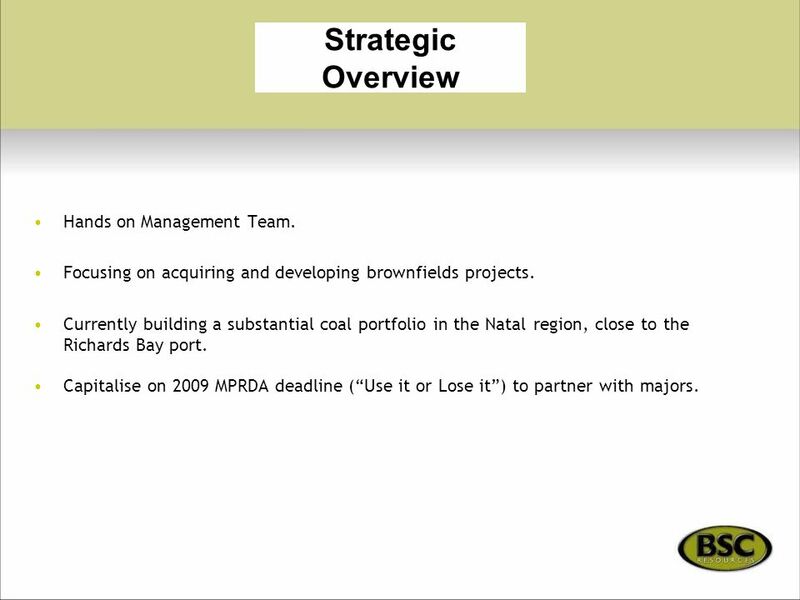 Capitalise on 2009 MPRDA deadline (“Use it or Lose it”) to partner with majors. 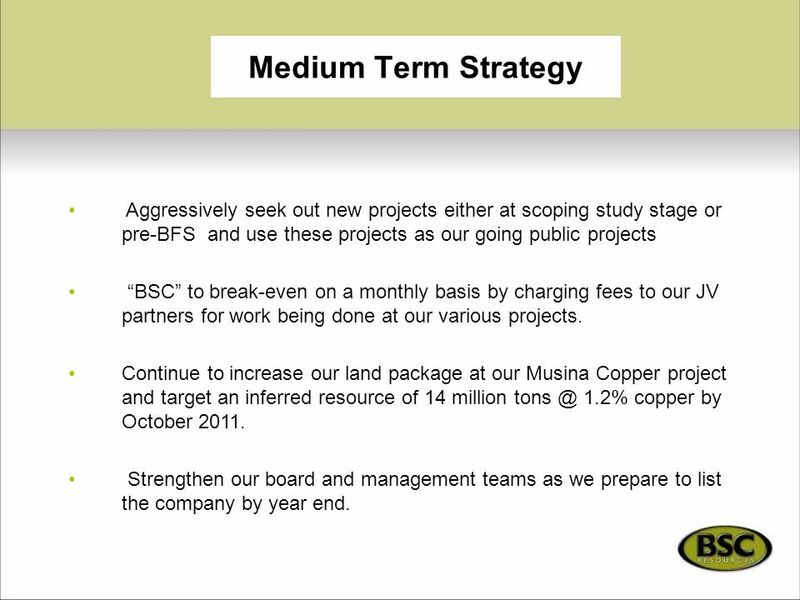 7 Medium Term Strategy Aggressively seek out new projects either at scoping study stage or pre-BFS and use these projects as our going public projects “BSC” to break-even on a monthly basis by charging fees to our JV partners for work being done at our various projects. 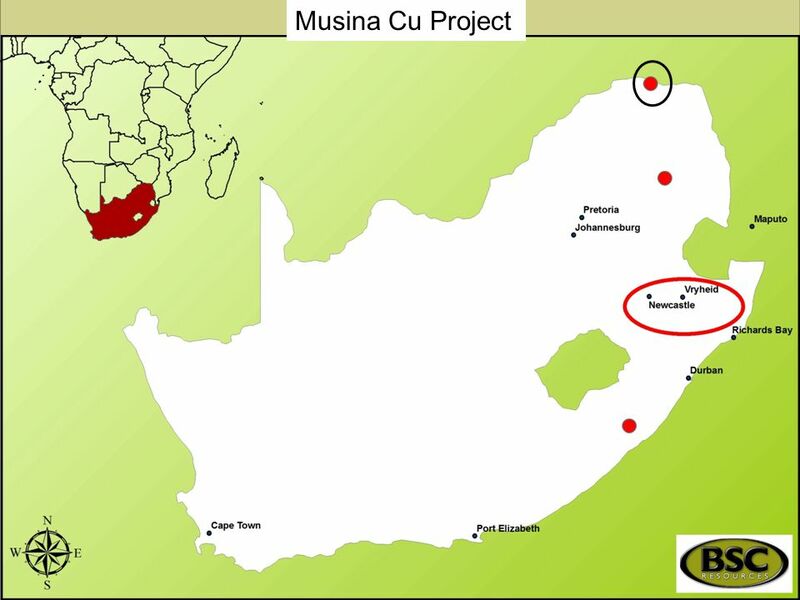 Continue to increase our land package at our Musina Copper project and target an inferred resource of 14 million 1.2% copper by October 2011. Strengthen our board and management teams as we prepare to list the company by year end. 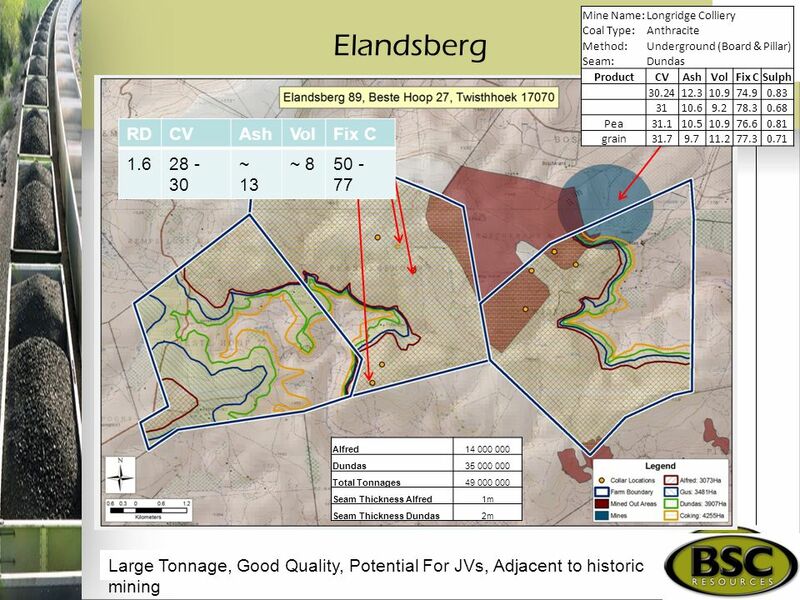 Our Ability to acquire, explore and develop mining projects in Southern Africa. 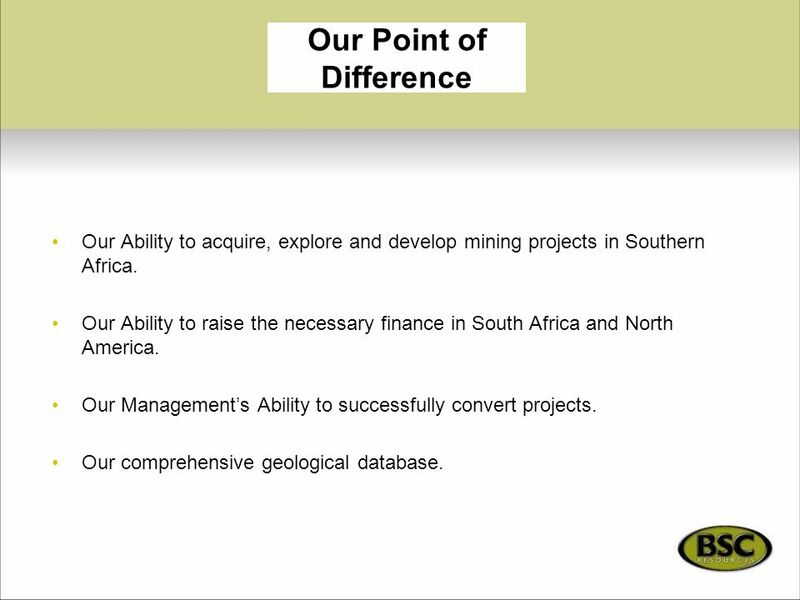 Our Ability to raise the necessary finance in South Africa and North America. Our Management’s Ability to successfully convert projects. 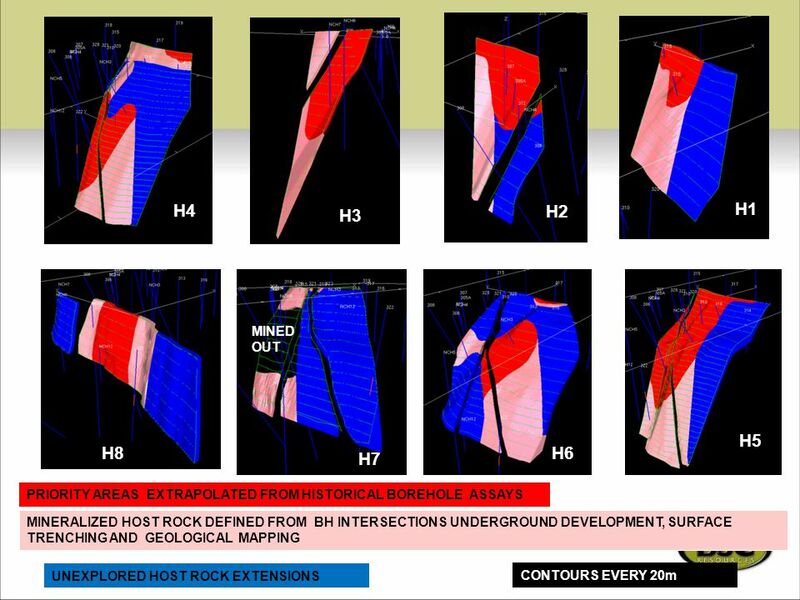 Our comprehensive geological database. 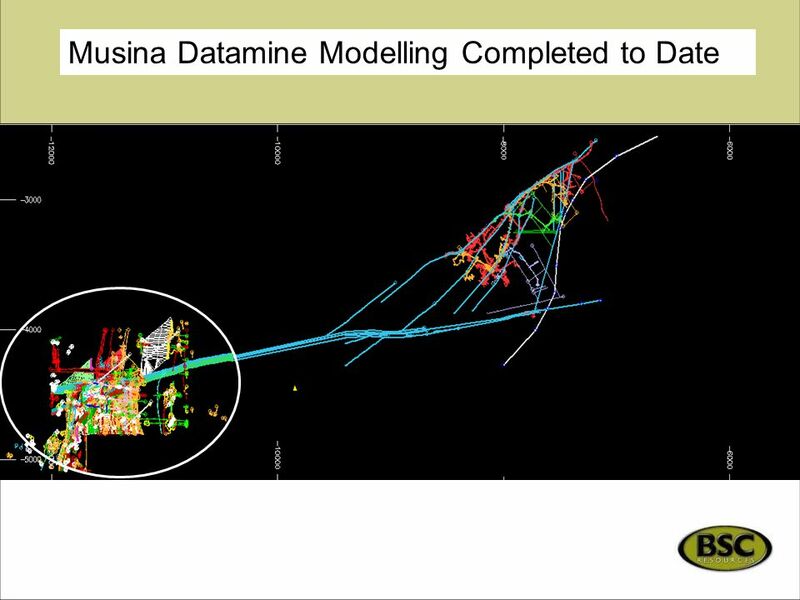 MD12 intersected 1.23% Ni over 7.63m at ~173m and MD12 C (deflection) 0.76% over 10m as well as 0.5% Ni over 50 m.
Talvivaara Ni Deposit in Finland (Owned by Talvivaara Mining Company) ~1Billion tonnes (measured and indicated) at a cut-off of 0.07% Ni with an average grade of 0.22% Ni (also has Zn and Co credits). 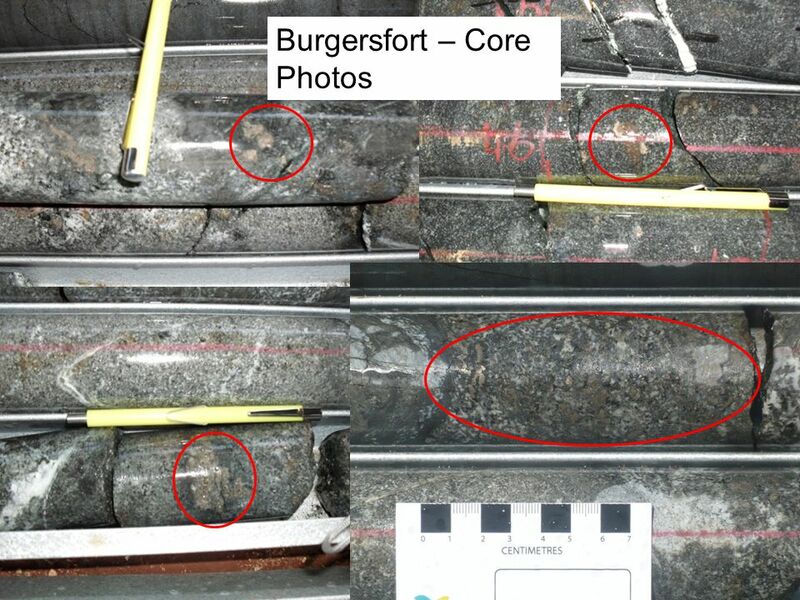 Turnagain Ni Deposit in Canada (Owned by Hard Creek Nickel Corporation) ~1.1 Billion tonnes (measured, indicated and inferred) at a cut-off of 0.1% Ni and an average grade of ~0.2% Ni (also has Co credits). 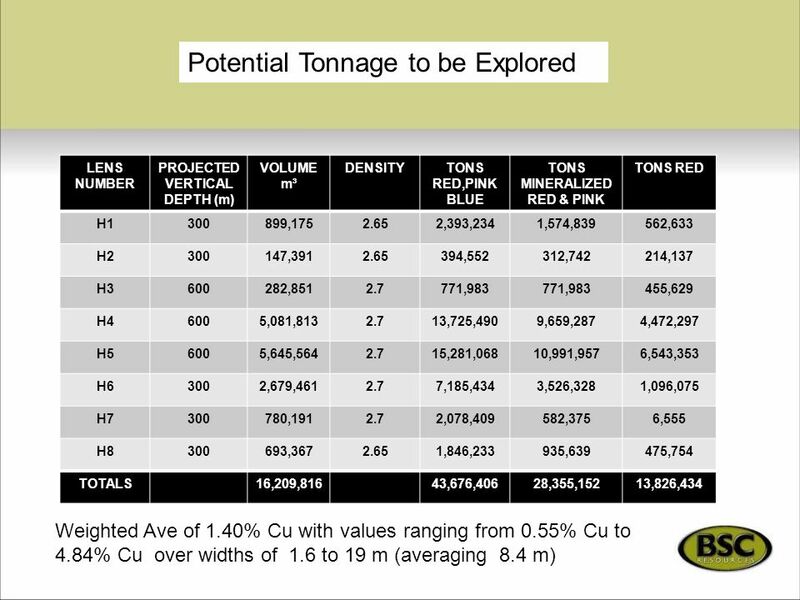 LOM is 24.4 years with an NPV of US $ 715 million (at a discount of 8%) and an IRR of 10.7%. 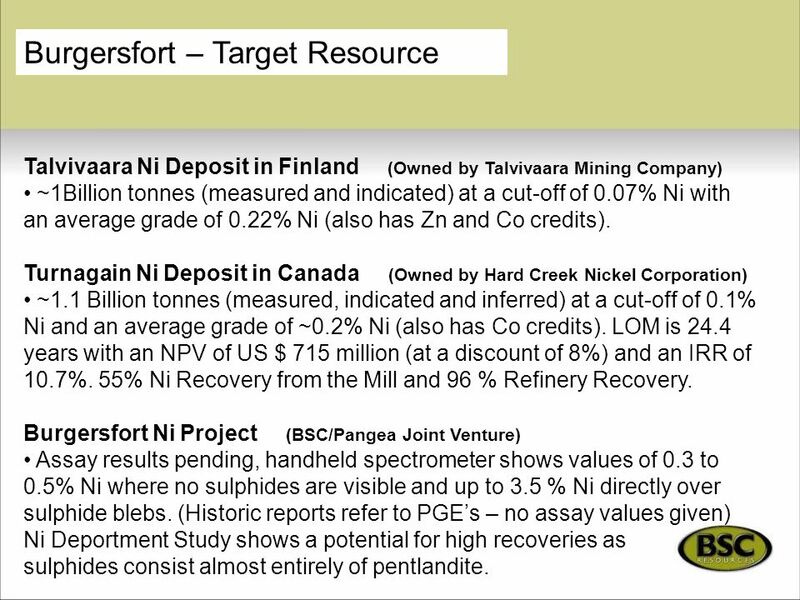 55% Ni Recovery from the Mill and 96 % Refinery Recovery. 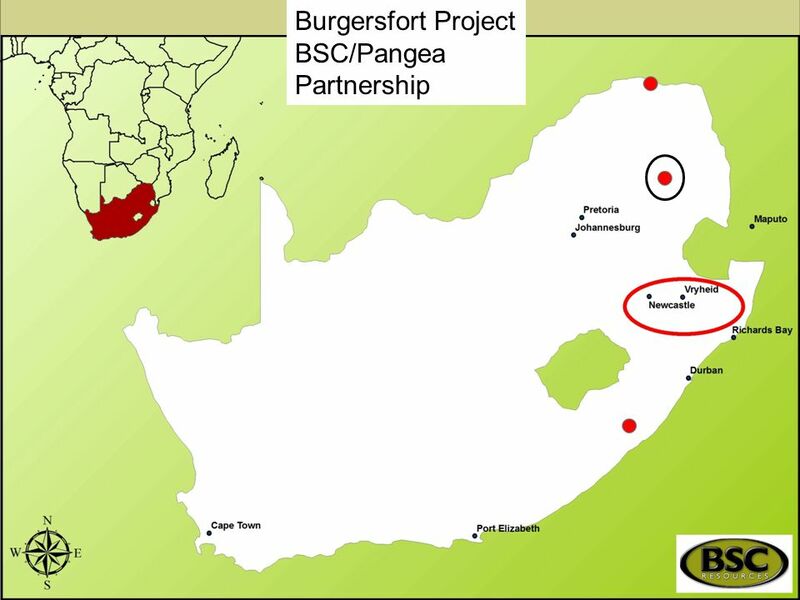 Burgersfort Ni Project (BSC/Pangea Joint Venture) Assay results pending, handheld spectrometer shows values of 0.3 to 0.5% Ni where no sulphides are visible and up to 3.5 % Ni directly over sulphide blebs. 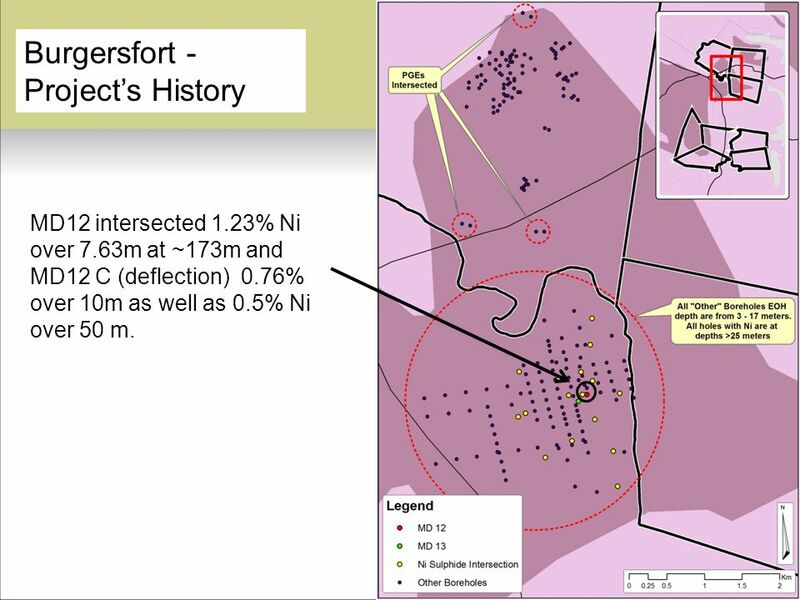 (Historic reports refer to PGE’s – no assay values given) Ni Deportment Study shows a potential for high recoveries as sulphides consist almost entirely of pentlandite. 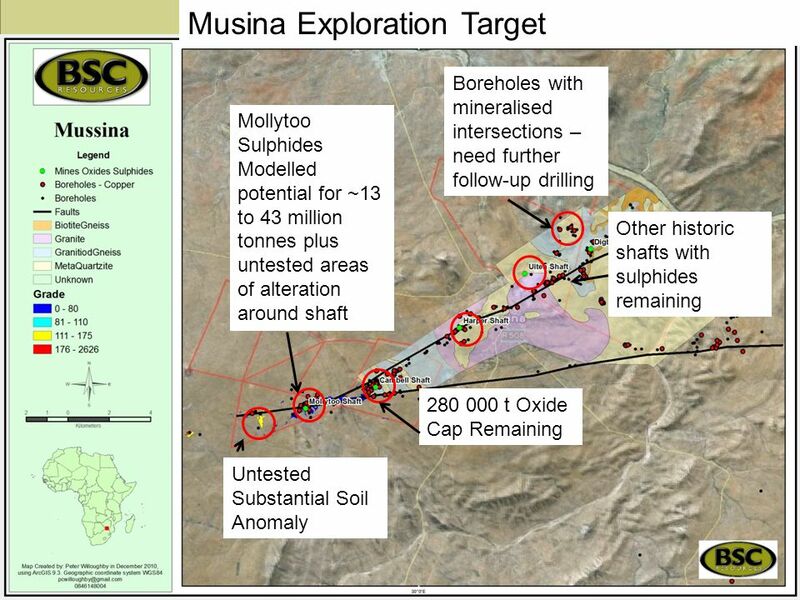 23 Musina Cu Project Main objective of the Project. 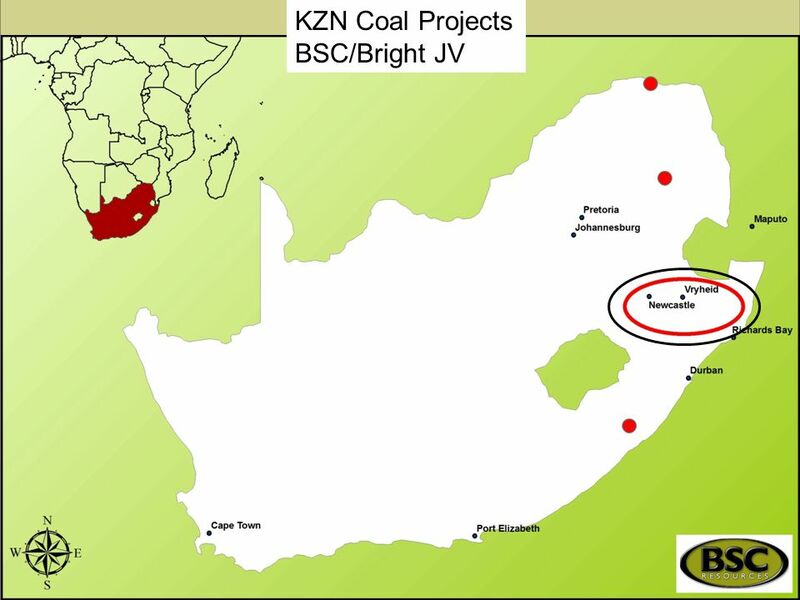 33 KZN Coal Projects BSC/Bright JV Main objective of the Project. 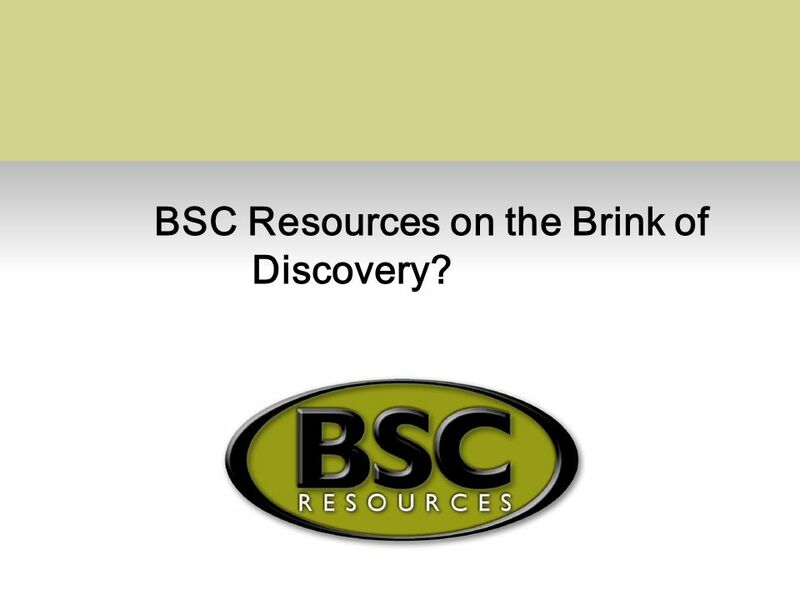 Download ppt "BSC Resources on the Brink of Discovery?" Remedy Statistics April 2009 May 28th 2009 Paris Desktop Support Analysis only done with Remedy tickets (Incident-Task-Request) (GRS requests are not included. 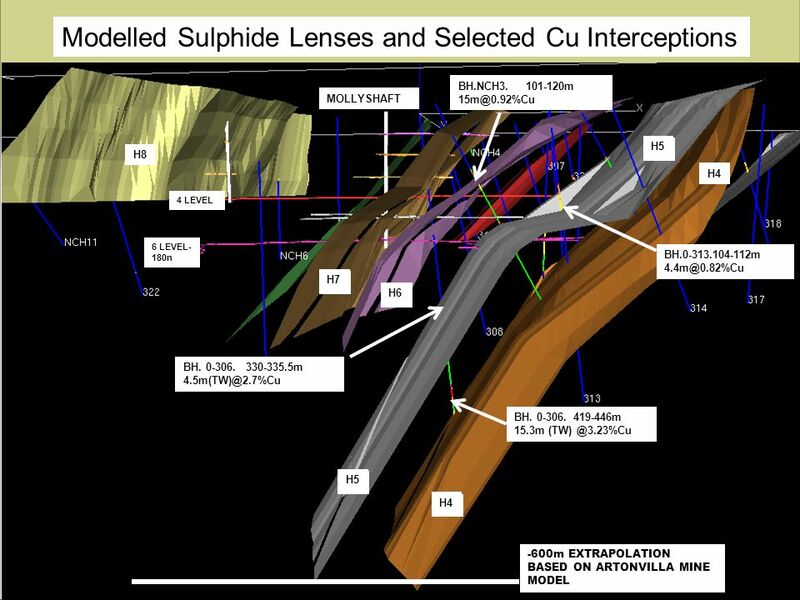 Gold Rock May 2013 Drill-Ready Gold Property Adjacent to Manitou Gold. 1 Private & Confidential Real Estate Overview. 2 Private & Confidential Content 2 current projects. © 2013 Sri U-Thong Limited. All rights reserved. 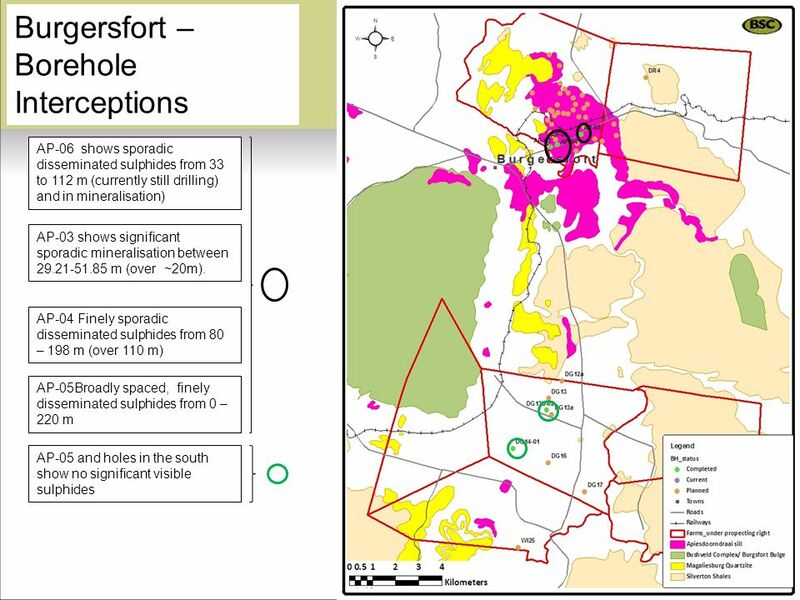 This presentation has been prepared by Sri U-Thong Limited and its holding company (collectively, “Sri. IMPORTANT READ CAREFULLY BEFORE USING THIS PRODUCT LICENSE AGREEMENT AND LIMITED WARRANTY BY INSTALLING OR USING THE SOFTWARE, FILES OR OTHER ELECTRONIC. 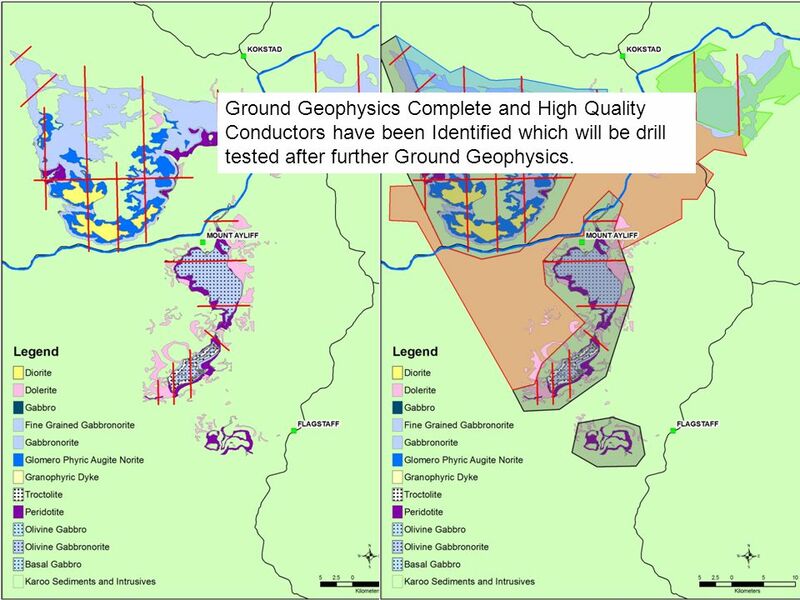 International Mining & Infrastructure Corporation PLC UK Cameroon Trade & Investment Forum | 7 May 2014 Unlocking the Value of African Iron Ore.
2013 AGM. This presentation does not constitute or form any part of any offer for sale or solicitation of any offer to buy or subscribe for any securities. 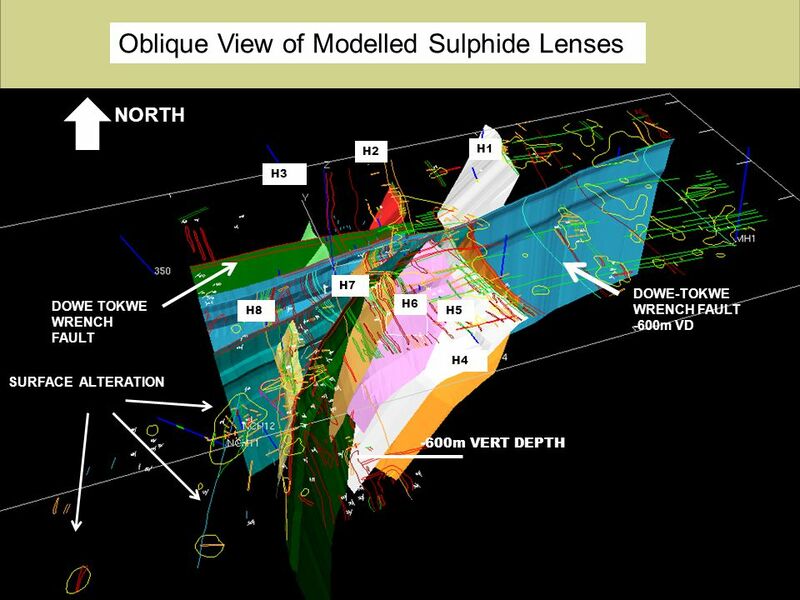 1 NYSE MKT: REE & TSX: RES Bear Lodge Critical Rare Earth Project Technology Metals Summit – March 2013 A Year of Dramatic Change. Q Results. 2 Disclaimer This presentation does not constitute or form part of, and should not be construed as, any offer for sale of, or solicitation. 1 WEEKLY FOREIGN TRANSACTIONS July 7th – July 11th, 2014. Innovations in Structured Products October 25, 2010 An Innovator’s Dilemma? 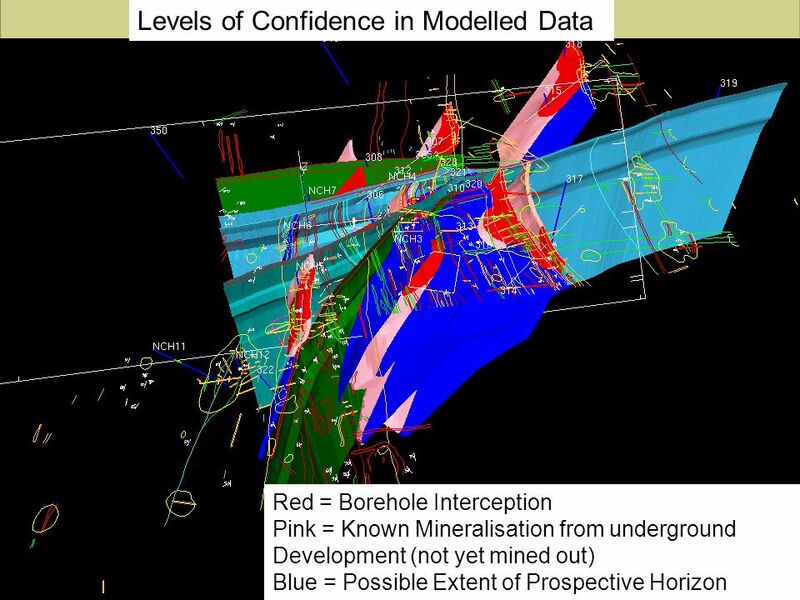 Confidential Date: June 2011 PRELIMINARY | SUBJECT TO FURTHER REVIEW AND EVALUATION These materials may not be used or relied upon for any purpose other. The economic outlook. 2 Greece Russia 3 The deflation-ghost.